Free food – my favourite! 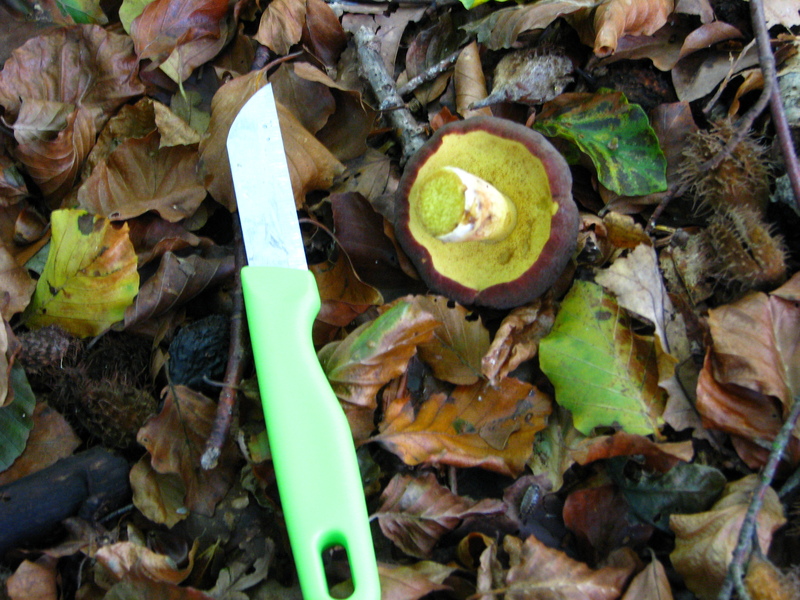 The last few weeks have been filled with one of my favorite activities – foraging for free food! 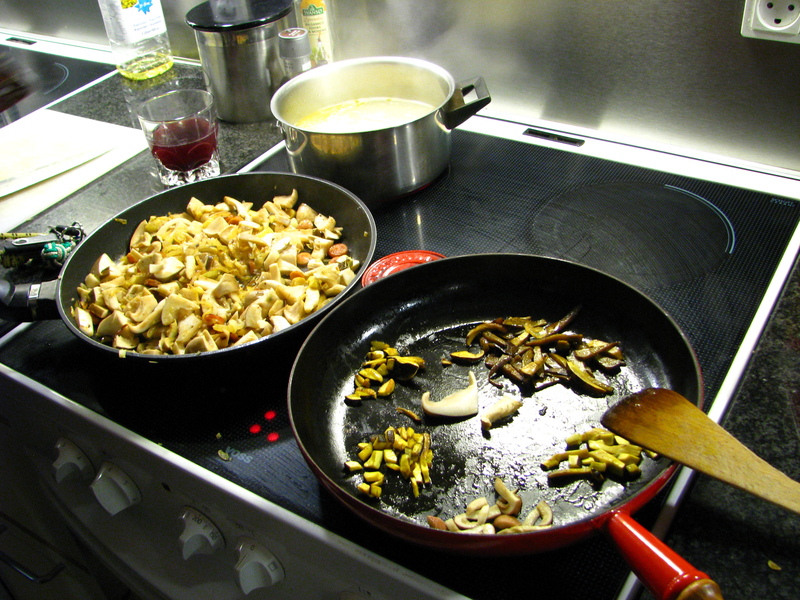 It has mainly revolved around mushrooms, but I have found other foods including acorns, beech nuts and apples. 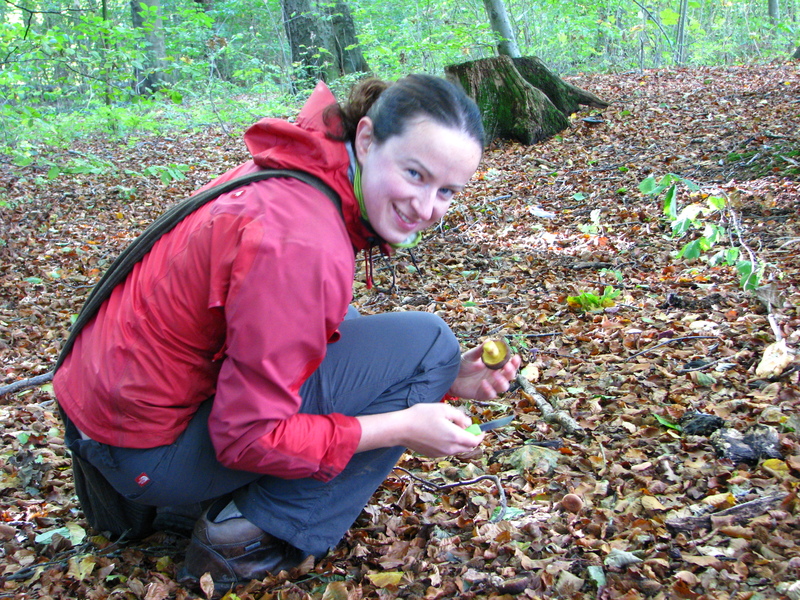 Collecting wild mushrooms is an activity I do very cautiously. 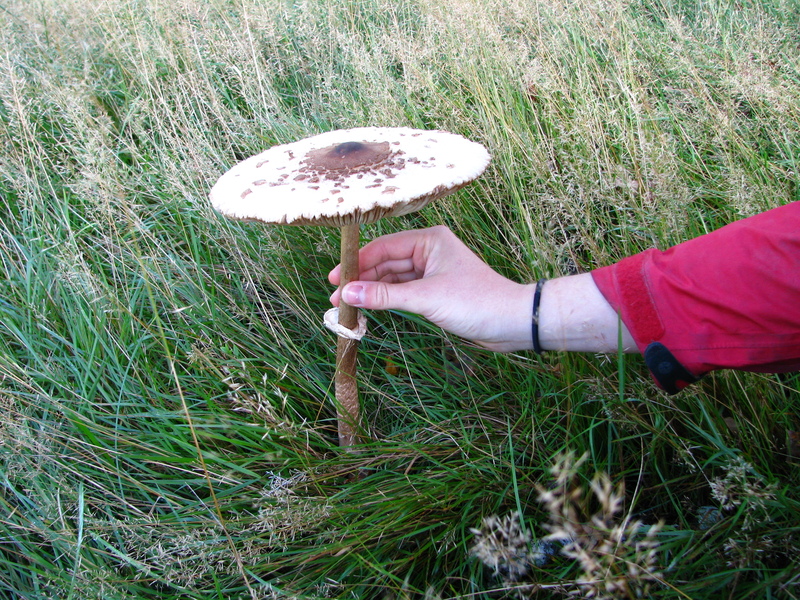 Last year I attended a mushroom walk on the Quantocks and became comfortable identifying a few tasty mushrooms. This year I attended another talk organised by the biology society in the Southern University of Denmark. I recommend this method as an introduction to wild shrooms. You have an expert on hand to quiz and help you identify the ones you want in your pan and the ones you want to leave to the slugs. The experts will also bring you to the best spots where a good variety will be found. There are other resources which can assist in your mushroom ID if you can’t make it to an organised talk/walk or you want to add to your knowledge afterwards. If you are interested in buying a book, the Rodger Phillips book “Mushrooms” is an excellent book with great photos to guide you. It is rather large and not the type of book you could easily bring into the woods with you, so a smaller field guide could also be helpful. To add to that there are some nice on-line keys which can help you figure out what it is you have found and whether it’s safe to eat. Two I’ve tried and found useful are http://www.mycokey.org and http://www.rogersmushrooms.com. 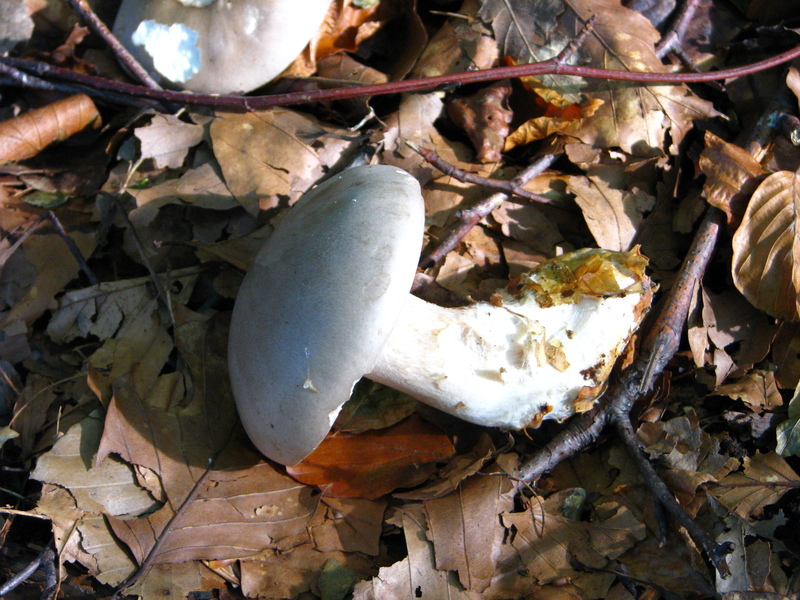 On the mycokey site there is a nice picture key where you can input the various characteristics of your mystery mushroom to help narrow down what it could be. You can input colours, size, texture, shape and at the end you get a list of suggestions with photographs and detailed information. It’s very simple and doesn’t require any previous knowledge. If I want to ID a mushroom, I take a sample home and have it close by to help identify the various parts, colours and shapes. Detailed photos can also be helpful. The second site is similar but does require some understanding of the terms used to describe the different parts and shapes. 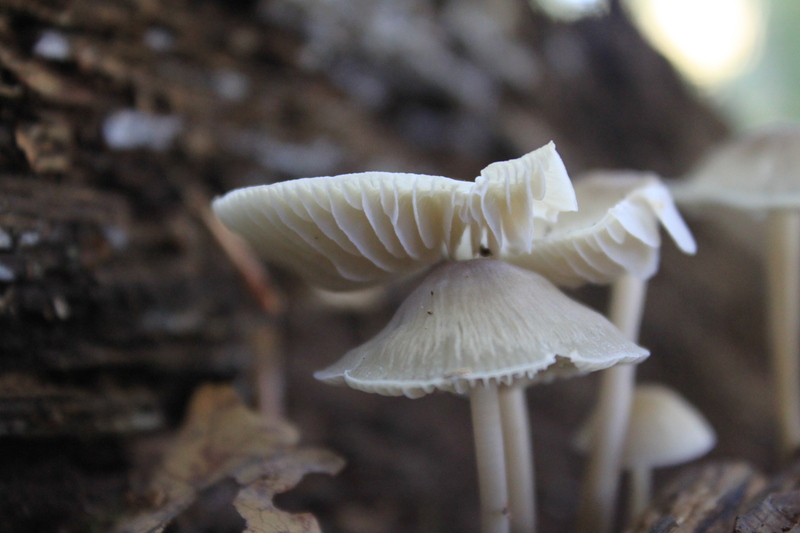 The Rogers site has a large number of different photos of the mushrooms which is very helpful and you can also upload your own photos to the site to assist in ID. There are also mushroom recipes and a forum where you can post questions. 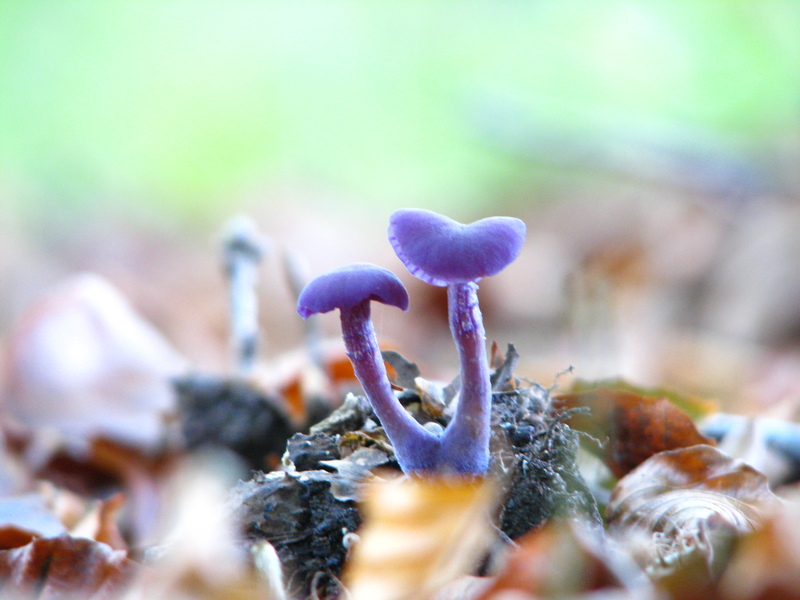 While out foraging in the local beech woods near Odense we came across a beautiful purple mushroom which I hadn’t seen before and wanted to ID. We took some photos in the forest and I took a sample home to investigate. I used the on-line ID sites and a Danish book figure it out. 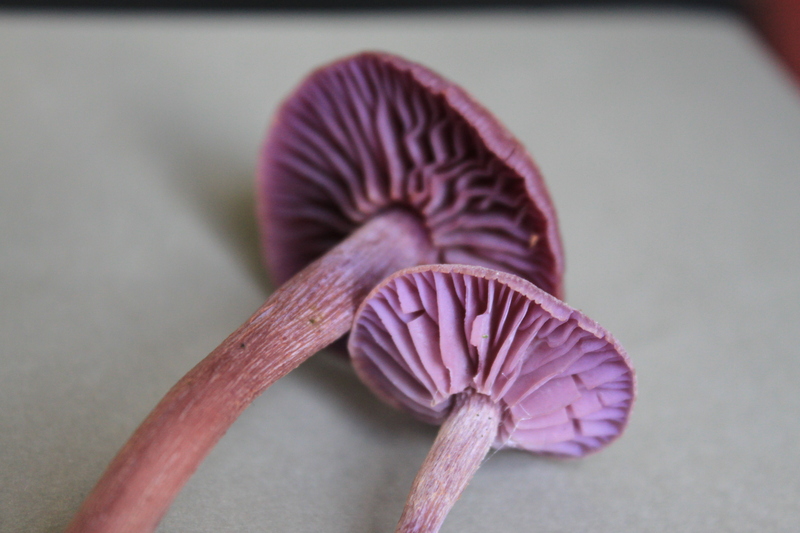 I compared the colours, size, shape and eventually I was able to identify it Laccaria amethystea (edible, but probably not worth the hassle, it’s very small!). A big thank you to Rasmus for letting me use some of his beautiful photos for this blog!